This paper takes on both a managerial and linguistic perspective on conducting research into manager behaviour. It presents theoretical foundations for creating knowledge about the activities of team managers using a system of organisational terms, and showcases how linguistic analysis can be applied to enhance findings in the area of management studies. The authors discuss the results of an experiment carried out with management students within the field of project planning. The students played the roles of team managers and were asked to plan a specific project using specified online management tools: Goaler (to set up goals) and Tasker (to describe tasks). All activities of experiment participants were recorded by these tools. Increasing areas of human life are developed with the help of machines and robots, or are replaced by them. After the first age of robotics in manufacturing, rapid developments in computer science have provided the opportunity of replacing team managers with robots (see McAfee et al, 2015). In recent years, the idea of replacing humans with robots has also emerged within the organisational environment, in particular in consultancy, stock exchange, and market analysis. However, there is still a lack of research in this respect, within the field of team management. Despite the fact that it is common to track activities of Internet users or online applications (e.g. Google apps), there is hardly any research using online management tools in order to obtain data about managers’ behaviour. At the beginning of the 20th century, Frank Gilbreth and Lilian Gilbreth took a step in this direction (Fogelholm, 2000, p. 195). They investigated human motions at work, which is viewed as the beginning of workforce automation in various types of industry. In the 21st century, it is worth investigating management activities in order that work can be further automated. 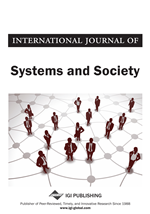 In general, this paper showcases the latest results from the observation of managers’ behaviour, carried out with the help of the system of organisational terms and selected online management tools available on the transistorshead.com platform. It is worth adding that the online management tools utilised are regarded as research tools in this paper (see Section 2). The data gathered during the observation was further analysed from a linguistic perspective using the tenets of anthropocentric linguistics and the so-called CCC (correspondence, consistency, and correctness) model (see Section 5). present further research paths and possibilities of results implementation. Q1: Which elements of the plan are changed and how often are they changed until the plan is accomplished? Q2: Which cognitive processes take place when managers are given a complex project to plan? Q3: Are there any dominant linguistic routes when planning a project? Q4: Is it possible to develop a pattern of (human) manager linguistic behaviour in order to replace human managers with robots? Q5: How can the linguistic findings be utilised in order to optimise and automate the formulation of tasks and goals in the future? In the first instance, it is necessary to mention that research presented in this paper is interdisciplinary in nature: In order to answer the research questions about the managerial work linguistic analysis is utilised in tandem with selected methods typical for management studies. In more detail, (1) the theoretical background of the examined phenomena and the method of gathering data derive from management science, while (2) the method of drawing conclusions and forming answers to the research questions posed in Section 1 stem from linguistics. Therefore, in this section we introduce both theoretical foundations.